The Beach Hut is a common feature above the high water mark at UK beaches and today the UK has over 20,000 beach huts. Although nowadays huts are firmly fixed to the ground the origins were the wheeled bathing machines used throughout the 19th Century. Royalty adopted them, George III at Mudeford in 1801, while Queen Victoria had one at Osbourne House on the Isle of Wight in the 1840s. The bathing machine was a basic wooden box on wheels that was pushed down by men or pulled by horses to the sea. When in the sea prospective bathers would emerge and swim without being seen. 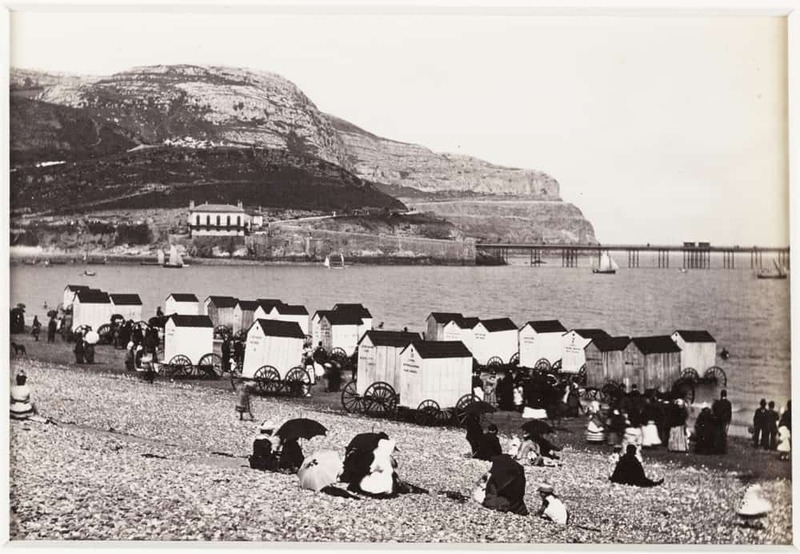 Beaches adopting bathing machines were single sexed beaches where men and women were segregated often by law. At the start of the 20th Century it became socially acceptable to be seen in a bathing costume, segregation disappeared, and the wheeled bathing machines were not needed. Many had the wheels removed, placed above the high water mark, and thus the beach hut was born. The UK’s first public beach huts are said to be built in Bournemouth in 1909 where Hut 2359 is the eldest one and has a blue plaque. Recently the British Beach Hut has become part of UK seaside nostalgia and has resulted in them exchanging hands for high prices, often as much as a house. This for something that you cannot stay overnight in and the cost to run is not cheap as many need considerable annual maintenance due to the bashing they get over the winter months. 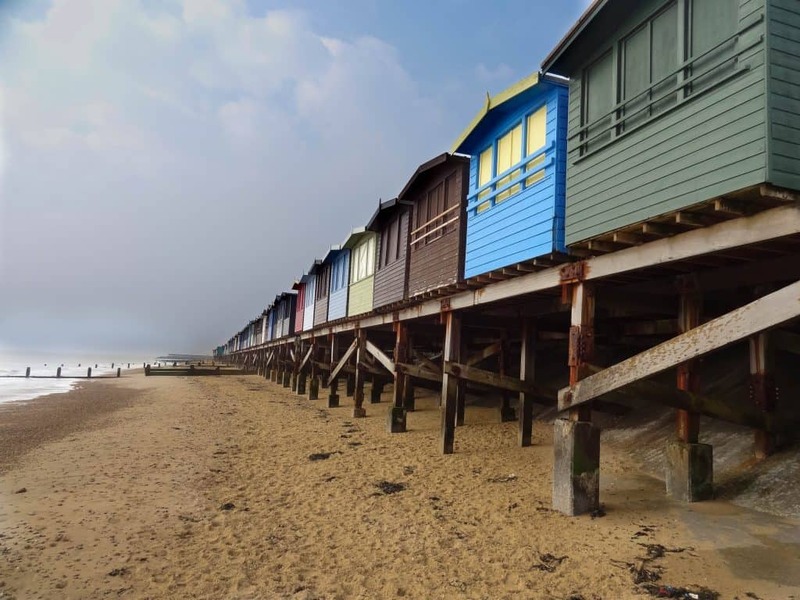 Huts can be found at many UK seaside resorts and come in all shapes, colours and sizes, those in the above picture at Frinton-on-Sea come on stilts and at high tide the water laps under them. Often when referred to as a “hut” they are of traditional wood build whilst “chalets” could be brick or much larger. But thankfully we all don’t have to spend tens of thousands on a hut as you can affordably hire one for a day or a week. Peak summer month rental can be anything from £40 for the day to £200-£300 for the week depending on location and size. They make a great base for a beach family holiday and give you more beach time as they provide great shelter from the UK weather. Many huts come equipped with small stoves for that essential afternoon cup of tea. If you are interested in renting a beach hut or chalet then you can search using our Beach Hut search page.